Une approche différentielle du… calcul différentiel. Diaporama Une approche différentielles du… calcul différentiel d’une conférence (courte) que j’ai donnée lors du 62e congrès de l’association mathématique du Québec. 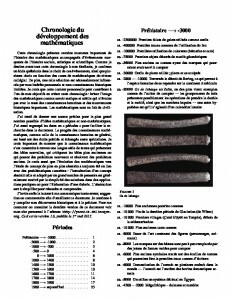 Publié le 2018-10-14 2018-10-14 Catégories Enseignement, Mathématiques, ScienceLaisser un commentaire sur Une approche différentielle du… calcul différentiel. In the 15th century Leonardo da Vinci refused to publish plans for a submarine, because he anticipated that it would be used as a weapon. In the 17th century, for similar reasons, Boyle kept secret a poison he had developed. In 1946 Leo Szilard, who had been one of the key developers of the atomic bomb, quit physics in disillusionment over the ways in which the government had used his work. By and large this kind of resistance on the part of scientists to the misuse of their research has been very sporadic, from isolated individuals, and generally in opposition only to particular, unusually repugnant projects. As such it has been ineffective. If scientists want to help prevent socially destructive applications of science, they must forego acting in an ad hoc or purely moralistic fashion and begin to respond collectively from the vantage point of a political and economic analysis of their work. This analysis must be firmly anchored in an understanding of the American corporate state. We will argue below that science is inevitably political, and in the context of contemporary American corporate capitalism, that it contributes greatly to the exploitation and oppression of most of the people both in this country and abroad. We will call for a re-orientation of scientific work and will suggest ways in which scientific workers can re-direct their research to further meaningful social change. Extrait de Toward A Science for the People, Bill Zimmerman, Len Radinsky, Mel Rothenberg and Bart Meyers, 1972. 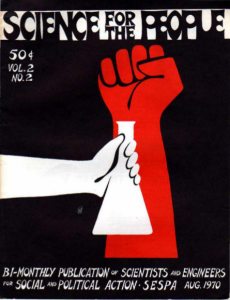 Beneath the white coat: the radical science movement, Alice Bell, Political Science blog, hosted by the Guardian, 2013-07-18. A Partial Archive of Science for the People (Anciens numéros, manifestes, etc). En d’autres termes, Voyageur 1 est officiellement le premier objet que nous avons fabriqué à avoir quitter le système solaire. Je dois dire qu’avec le recul que ce genre de nouvelles me donne, il y a beaucoup d’autre choses fabriqués par l’humanité que j’aimerais voir suivre le même chemin, non pour des motifs scientifiques, mais pour des raisons politiques. Première version publique de ma chronologie du développement des mathématiques. 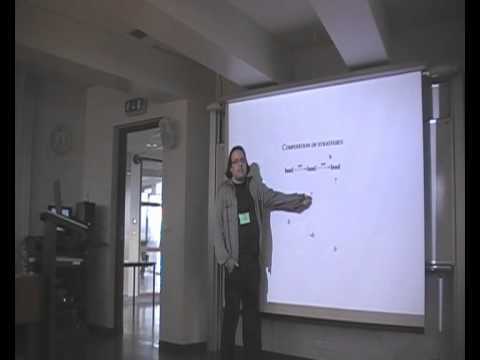 Vidéo d’une conférence que j’ai donné lors du congrès Quantum Physics and Logic 2008 à l’Université de Reykjavik. VÖCKING, Berthold, 2011. 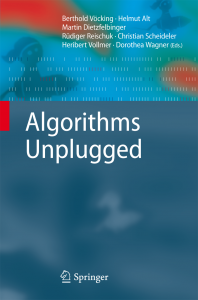 Algorithms unplugged. Heidelberg; New York : Springer. ISBN 9783642153273 3642153275. Algorithms specify the way computers process information and how they execute tasks. Many recent technological innovations and achievements rely on algorithmic ideas–they facilitate new applications in science, medicine, production, logistics, traffic, communication and entertainment. Efficient algorithms not only enable your personal computer to execute the newest generation of games with features unimaginable only a few years ago, they are also key to several recent scientific breakthroughs — for example, the sequencing of the human genome would not have been possible without the invention of new algorithmic ideas that speed up computations by several orders of magnitude. The greatest improvements in the area of algorithms rely on beautiful ideas for tackling computational tasks more efficiently. The problems solved are not restricted to arithmetic tasks in a narrow sense but often relate to exciting questions of nonmathematical flavor, such as: How can I find the exit out of a maze? How can I partition a treasure map so that the treasure can only be found if all parts of the map are recombined? How should I plan my trip to minimize cost? Solving these challenging problems requires logical reasoning, geometric and combinatorial imagination, and, last but not least, creativity — the skills needed for the design and analysis of algorithms. In this book we present some of the most beautiful algorithmic ideas in 41 articles written in colloquial, nontechnical language. Most of the articles arose out of an initiative among German-language universities to communicate the fascination of algorithms and computer science to high-school students. The book can be understood without any prior knowledge of algorithms and computing, and it will be an enlightening and fun read for students and interested adults. Albert Einstein. “Why Socialism?” Monthly Review, mai 1949. http://monthlyreview.org/2009/05/01/why-socialism. Publié le 2012-05-19 2012-07-03 Catégories Bibliographie, Histoire, Politique, ScienceLaisser un commentaire sur Why Socialism? Les insectes seraient capables de former des concepts abstraits selon les résultats de cette expérience d’une équipe de l’Université Toulouse III-Paul Sabatier. Billet de Giuseppe Longo sur les prédictions en science et les prétentions de pouvoir prédictif en finance. traité pour qu’il soit “super hydrophobic”. l’article sur le Physics ArXiv Blog.